Last chance! 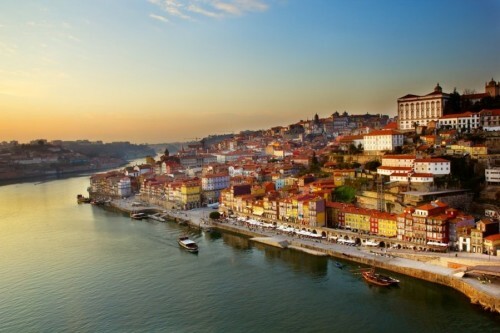 Cheap flights to Portugal: Nuremberg-Porto for €55! If you want to visit beautiful Portuguese town Porto and you live close to Nuremberg in Germany you have very last chance. Ryanair will stop operating this route in April and there are few last cheap flights scheduled. 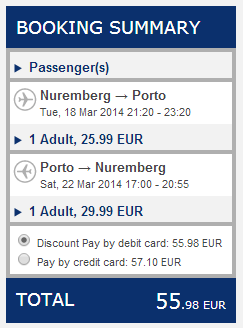 Return ticket from Nuremberg to Porto can cost you as low as €55! This price is valid if you travel with 10 kg cabin luggage. March is already warm in Portugal and you can try even swimming in the ocean if you are a bit hardy! Porto has wide range of cheap and great value accommodation options, no matter if you look for simple guesthouse or luxurious hotel. Generally it’s very cheap city if you beware of typical touristic spots. Public transport in Portugal isn’t exactly the best and there is plenty of beautiful places which can be visited only by car. Renting a car is pretty cheap so check the rates to get best prices. « Cheap flights to Spain: Wroclaw-Alicante for only €66!